How I Met Your Mother? More like How I MEH Your Mother. Honestly, if I had to settle on one word to describe this week’s episode of HIMYM, it would be “meh.” We’ve seen bad episodes of this show. On one or two occasions over the over-eight-year run of HIMYM, there’s been an installment that causes fans to go, “What the heck was that? This isn’t right.” Those bad episodes still manage to rile up passion among the show’s fan base. Mom and Dad, this week’s episode, wasn’t even a bad episode. It was just there. It didn’t get the show’s history wrong. It didn’t upset the mythology. It didn’t portray a character in a way that was untrue to what we know about that character. Mom and Dad just happened. For half an hour, this episode was on our TV screens. Then it was over. Nothing changed. Nothing advanced. Nothing caused fans to gasp or take to the street and start looting. OK, so stuff obviously happened during this episode. The writers had to fill the half an hour somehow. Here’s the problem: Everything that happened in this episode of HIMYM impacted minor characters. Barney’s mom, Loretta, and James’ dad, Sam. Billy Zabka. Marshall’s frenemy Daphne. OK, let’s see how quickly we can sum up the events of Mom and Dad. James’ dad, Sam, agreed to officiate Barney and Robin’s wedding. Barney’s dad, Jerry, arrived at the Farhampton Inn, where he ran into Barney’s mom, Loretta, for the first time in years. They’re friendly to each other, which Barney took as a sign that he should get his parents back together again. It turned out James has the same idea, hoping to get Sam and Loretta back together again. Barney and James fought like brothers. They discovered that Sam and Loretta had actually been seeing each other for awhile. Robin convinced Barney that he should accept James’ parents reuniting, since while Barney has a family in Robin and Jerry is married, James was going through a divorce and could use some family in his life. Meanwhile, Barney entrusted Ted with an autographed photo of Wayne Gretzky, which Barney planned on giving to Robin as a wedding gift. (Gretzky is a hero of hers. She sometimes calls out his name in bed. Barney has accepted that.) Someone spilled Ted’s calligraphy ink on the photo. Ted blamed Karate Kid villain Billy Zabka. It was Zabka, hoping to make Ted look bad and make himself look good. Zabka was still mad a Ted for stealing the position of Barney’s best man from him, since after spending his life playing a villain, Zabka was happy to finally be someone’s best man. Ted let Zabka take the glory. And finally, Marshall and Daphne were still driving. Daphne started lashing out at Marshall. It turned out she was actually angry over the fact that she wasn’t going to make her daughter’s Model UN presentation and that her daughter told her to not bother coming. Marshall surprised Daphne by switching up their travel plans and getting Daphne to her daughter’s assembly, making himself even later for Barney and Robin’s wedding. 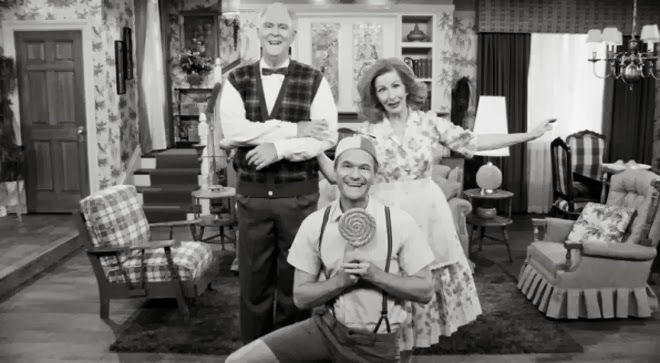 So, to reiterate, the episode spent its time on James, Loretta and Sam. Meh. It spent its time on Zabka. Meh. HIMYM has worked itself into a corner now. They’ve showed us The Mother. Once we’ve seen The Mother, and with every additional time she’s in an episode, it becomes harder to go back to an episode that she’s not in. It’s kind of like when you were in college and you spent a lot of time drinking Keystone Light. It was beer. It was good. And it was all you knew. Then one day, you had an amazing beer. I’ll let you fill in the name of the beer, but let’s say it was something local. Something craft. Something kind of expensive. After having that beer, how could you ever drink Keystone Light again? I won’t insult HIMYM by saying everything we saw before The Mother walked into our lives at the end of last season was Keystone Light, but we’ve had that awesome beer that we never knew we were missing now. You can’t serve us anything less than it now, HIMYM. Barney and James’ fantasy sequence of how their lives would be if their mom got back together with one of their dad’s was pretty amusing. It helps that Neil Patrick Harris and Wayne Brady are great showmen, nailing the musical parts of this sequence. For Mom and Dad, HIMYM recast the role of Cheryl Whittaker, replacing Nancy Travis, who had played Jerry’s wife in the Season 6 episode Legendaddy, with Nancy Lenehan. Was Travis just not available? Or was there a contract issue that led to this swap, similar to how Robin’s dad went from being played by Eric Braeden to Ray Wise. In case you missed it, there’s was a classy version of the Bang Song (“Bang, bang, bangity bang. I said bang, bang, bangity bang”) playing while Loretta and Jerry were stuck in the elevator. 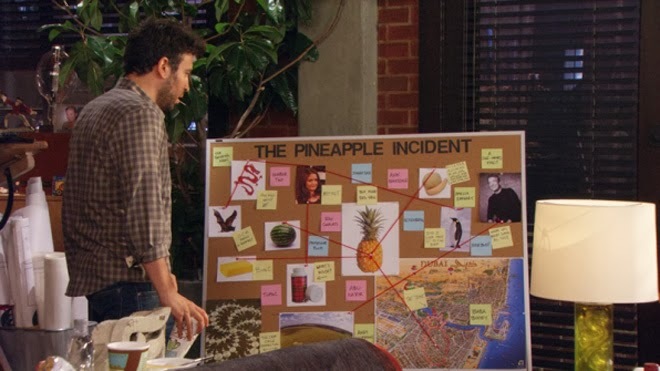 If you’re going to tease us with the mystery of the Pineapple Incident, HIMYM, you gotta go deeper than just telling us Ted hasn’t solved it yet. We want answers. Let Detective Ted Mosby crack this case. Maybe bring back Trudy to help him figure things out. Ranjit has a button in his limo that kills cellphone reception. Why would a limo driver have that installed? I’m wary of taking a ride from Ranjit now.